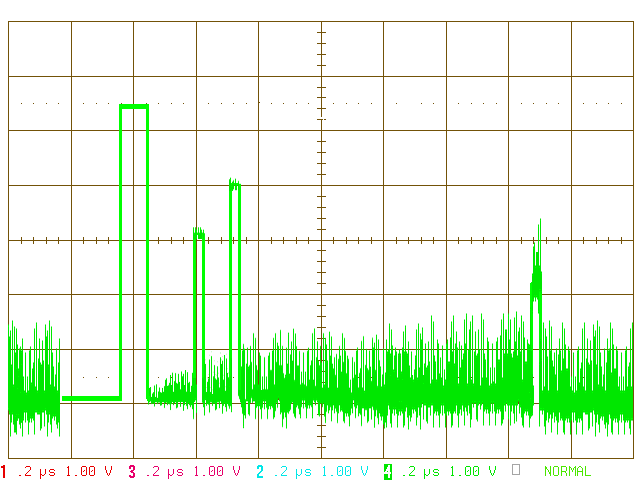 Sensitivity Time Control (STC) is commonly used to control the gain of radar receivers IF amplifiers or of low-noise pre-amplifiers. Radars detect targets of a wide variety of sizes, ranges, and reflective area, which produce a wide range of echo signal amplitudes that may exceed the dynamic range of a fixed gain receiver. 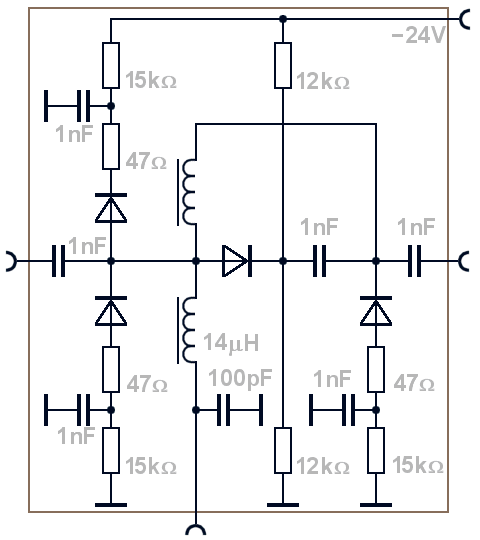 This STC- circuit shown in the figure is a real wiring used in an ATC-radar. It is a simple analogue voltage controlled attenuator with PIN diodes. 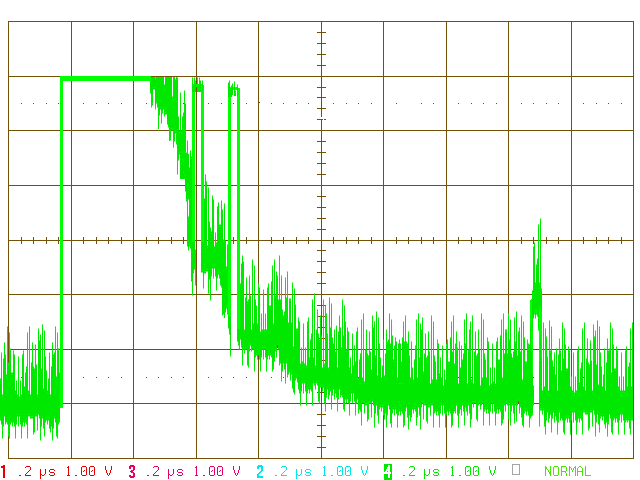 The STC waveform provides attenuation from 1 dB (at zero voltage) and 24 dB (at a voltage of -24 V). The STC- waveform can be a squared or a linear function of the time. 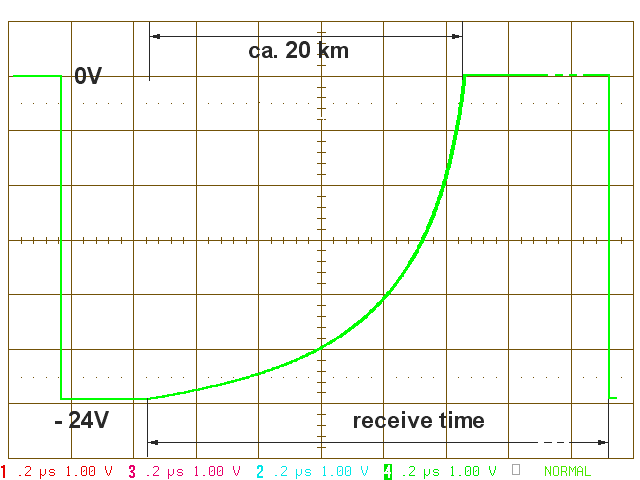 By means of such a sensitivity time control it is possible to obtain the value of the attenuation dependent of the range. Using STC tends to equalize the amplitude of echoes independent of range. A digital STC may be controlled by a computer to provide optimum gain as a function of range. The digital STC- “waveform” is a 4-Bit word and switches the attenuation from 48 dB to zero dependent of time/range in steps of e.g. 6 dB.  The signals shown in the diagrams at the input and output jack are stylized. Remember: In reality these are RF-signals at least on the first intermediate frequency. Imagine that the probe-line between the tested jack and the oscilloscope includes an amplitude detector. Then the shown signals are such as real.